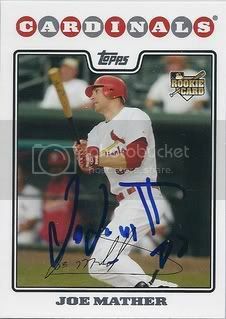 We picked up a signed card of former St. Louis Cardinal, Joe Mather. Joe spent time in 2011 with the Braves and Rockies organizations. 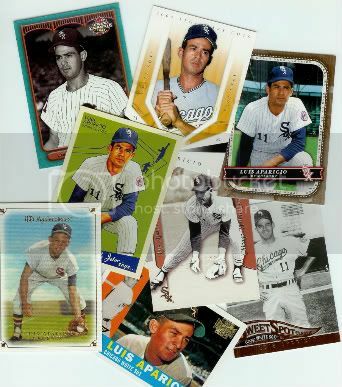 Much to my surprise Luis Aparicio was included in the 2011 Topps Update Kimball Champions set. This is his second mini card this year. 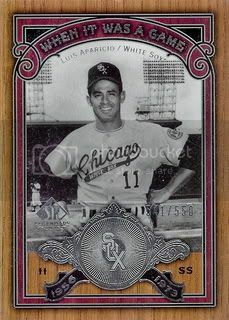 The first featured him on the White Sox and this one remembers his days with the Orioles. Yesterday's pack break reminded me I had this card to post on. 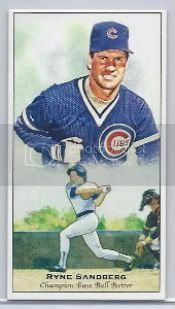 Growing up, Ryne Sandberg was my favorite player. I guess you could say he was my first player collection. Unfortunately his autographs and game used cards go for a little too much so I haven't been to active in picking up his stuff in my adult years. I have grabbed a few of his low-end cards recently including this Kimball Champions mini. 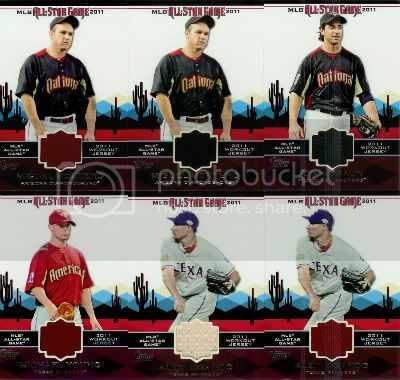 I'm sure I'm not the only one who occasionally throws in a low bid on one of those "Hot Pack" eBay auctions. This time I won. 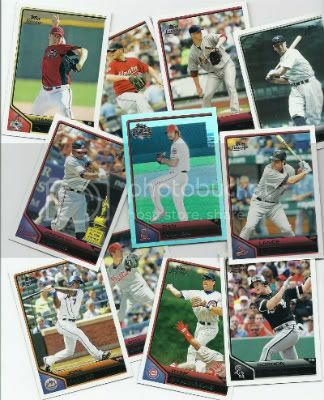 For $4 and free shipping I scored a 2011 Topps Lineage value pack. 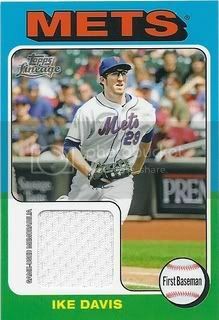 My hit was an Ike Davis mini-jersey card. Not bad. Everything except the Ryne Sandberg and Daniel Hudson would be available for trade if you're interested. 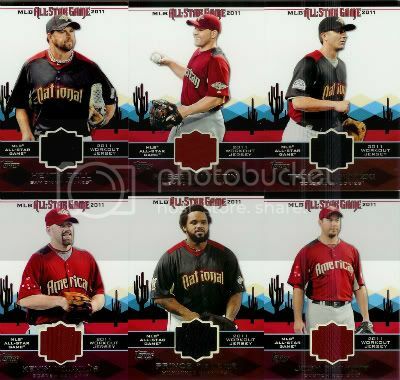 You may remember that thanks to my Dad, I was able to go to the 2011 All-Star Game here in Phoenix. 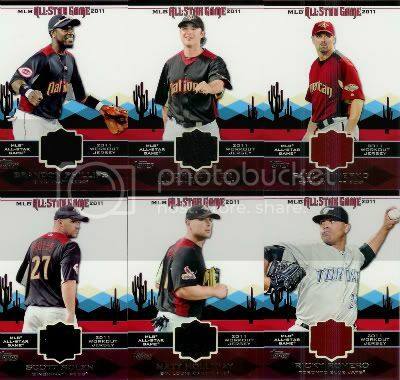 Soon after we got the tickets, I realized that Topps would probably have All-Star jersey cards in their Update set. I was right. I've been busy trying to pick up as many of these as I can. Right now I have 28 different players, not including the duplicates with a different jersey color. 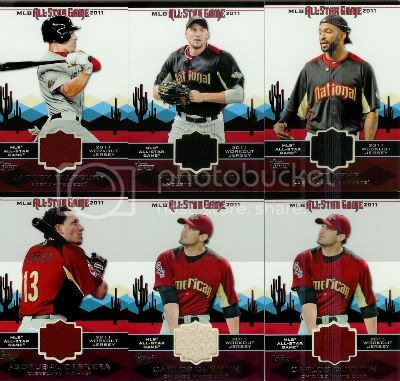 I've already gotten most of the ones I want but I'm still on the lookout for a few ( Justin Upton, Gio Gonzalez, C.J. Wilson come to mind ). Some of the pics Topps chose for these are a little boring but overall I like them. Kind of a cool souvenir from the most awesome baseball game I've ever been to. 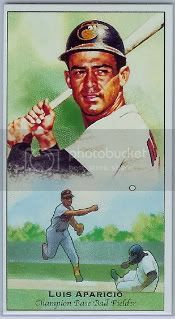 There was one more card that Brian from 30 Year Old Cardboard sent us in that package I mentioned yesterday. This one's extra cool so I thought it deserved it's own blog post. This is the first "When it was a Game" insert I've ever seen. 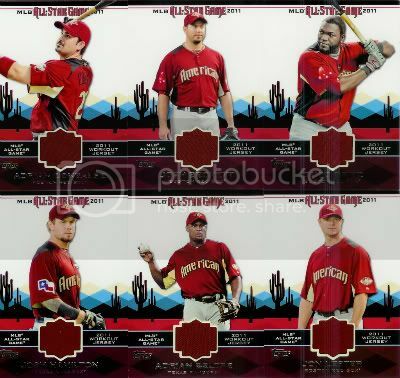 It's from the 2006 Upper Deck SP Legendary Cuts set and is numbered to 550. Our friend Brian from our favorite baseball card blog 30 Year Old Cardboard sent us a package with a few Luis Aparicio cards for our player collection. Thanks, Brian! These are awesome! 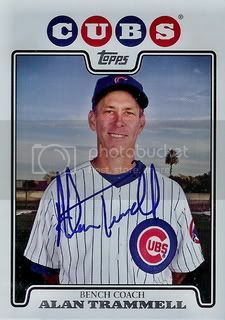 Former Arizona Diamondbacks manager, Bob Melvin signed a card for our set. Bob's back in the big leagues and is currently leading the Oakland A's. 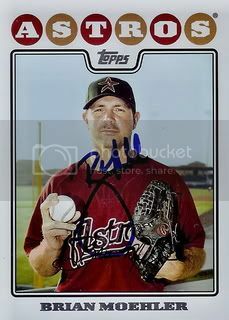 Former Diamondbacks catcher, Chad Moeller signed a card for our set. 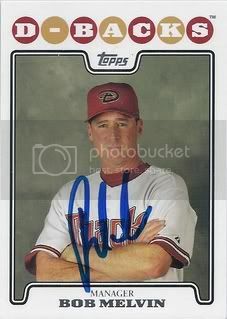 Since his days in Arizona, Chad has spent most of his time in the minor leagues with an occasional cup of coffee. 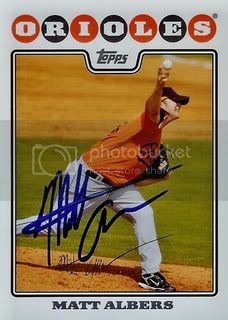 Former Baltimore Orioles reliever, Matt Albers signed a card for our set. Matt spent the 2011 season with the Boston Red Sox. Wow. It's October 19th and this is my first blog post of the month. I've had alot going on the past few weeks but I have good news for those of you that were concerned. 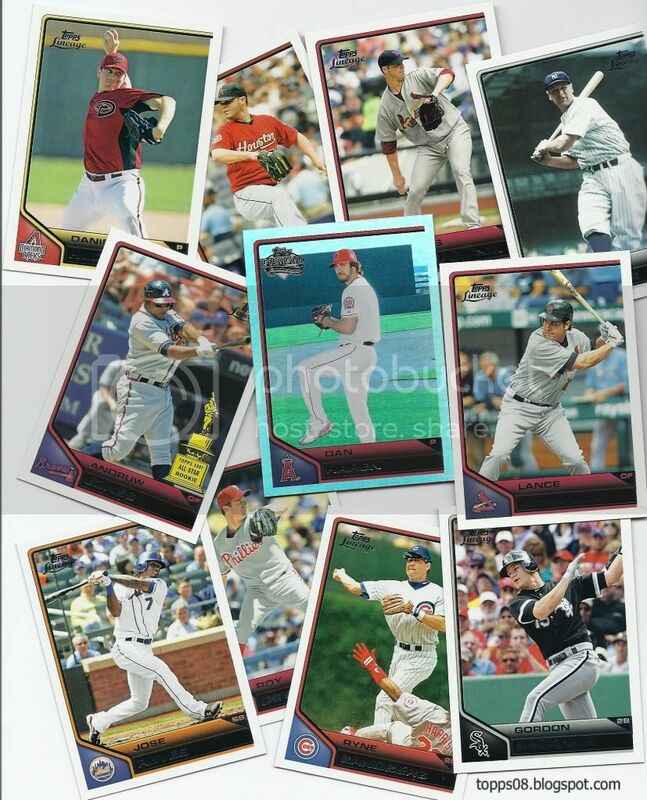 My 2008 Topps Set Blog isn't dead! 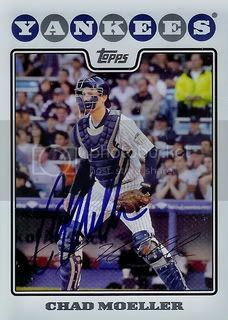 Here's a signed 08 Topps card to get us back on track.